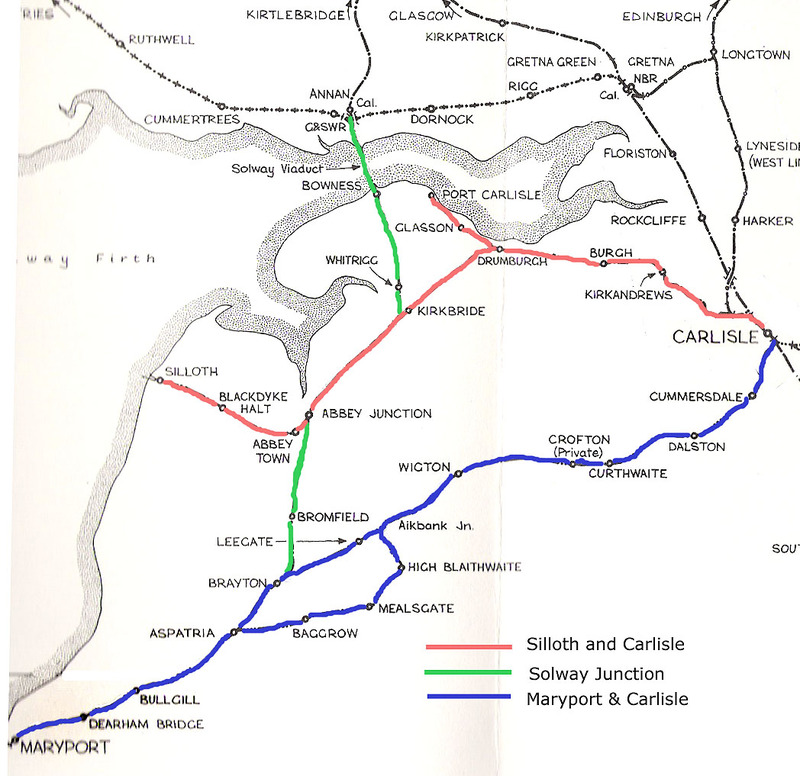 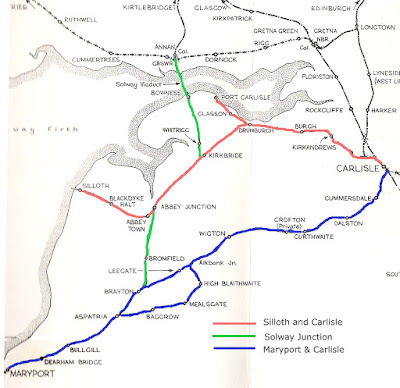 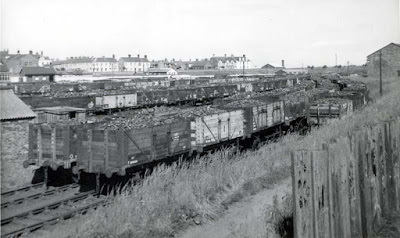 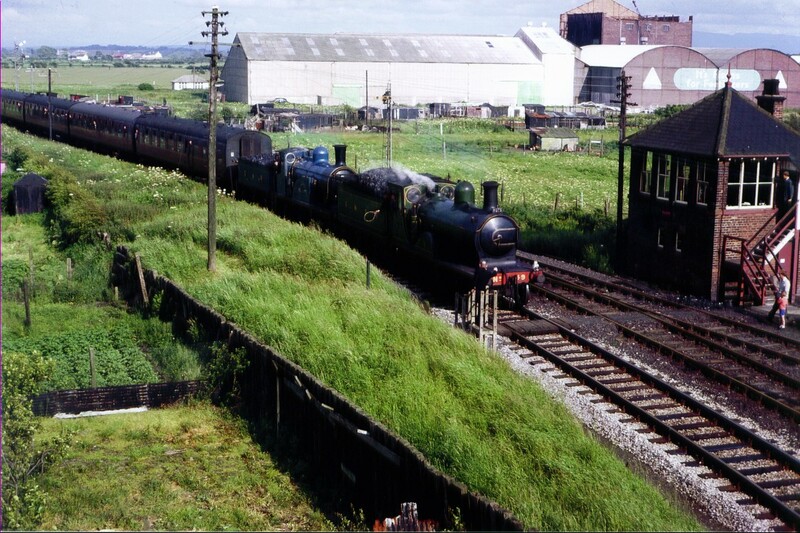 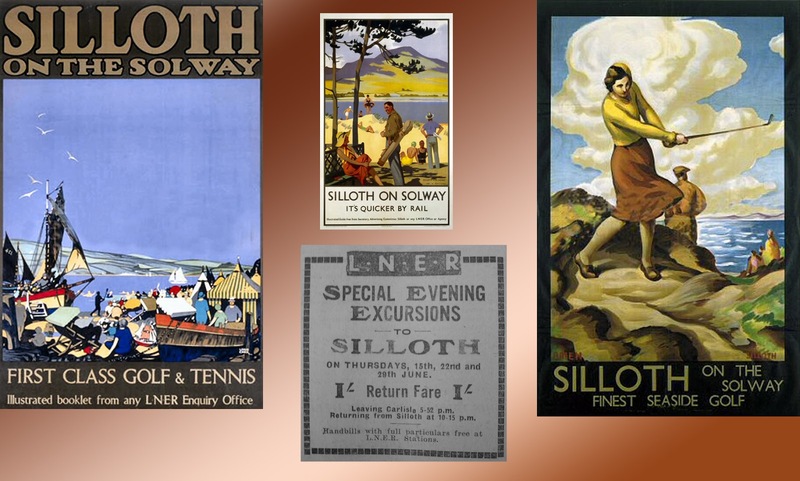 In 1963, Dr Beeching's plan for 'The Reshaping of British Railways' was published and the Silloth line was one of those scheduled for closure. 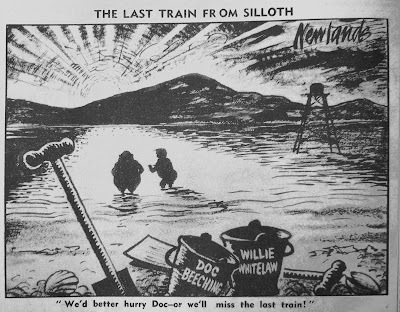 Cartoon from the 'Carlisle Journal'. Willie Whitelaw was the local MP. 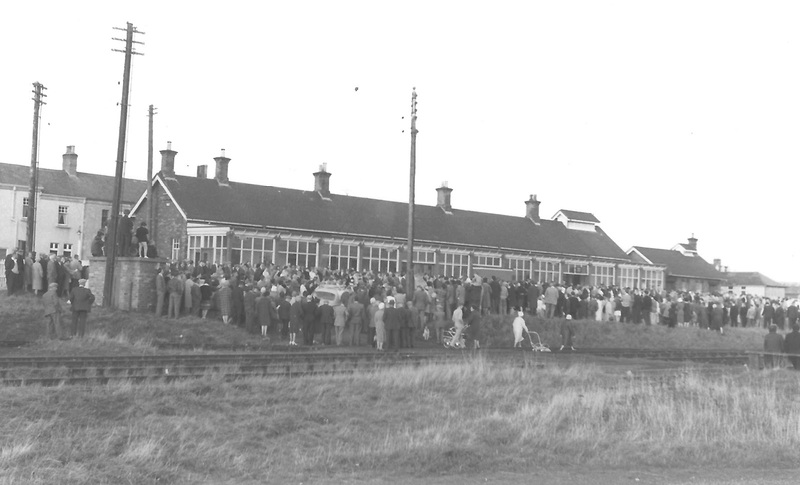 After the formal procedures were completed, it was announced the line would close on September 7th, 1964. Just a few weeks before this, a special steam excursion was organised by a group of railway enthusiasts. 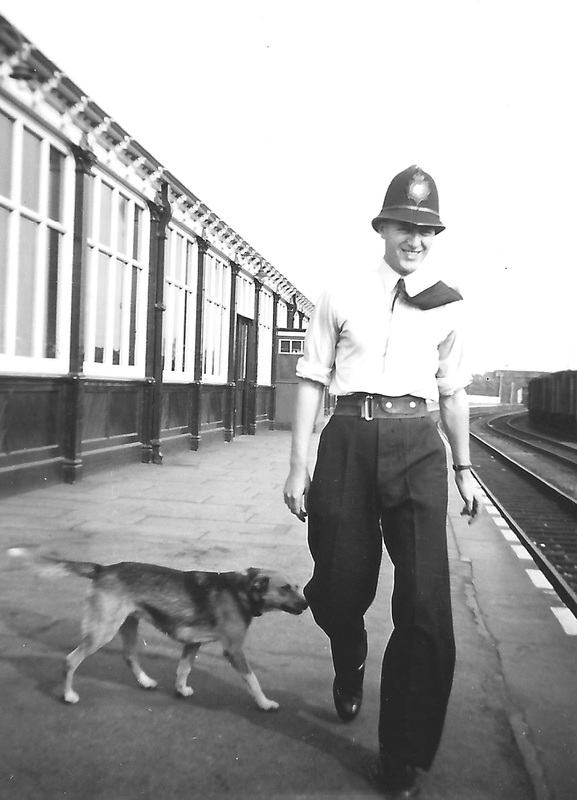 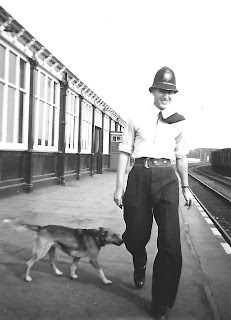 On the last day of operations, Jimmy Piercy, the British Transport Police officer was in charge at Silloth. 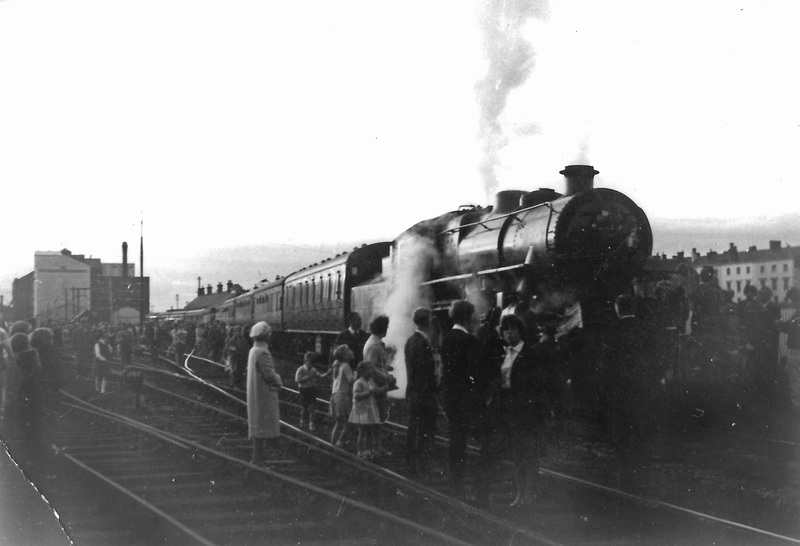 The diesel train was replaced by a steam locomotive. 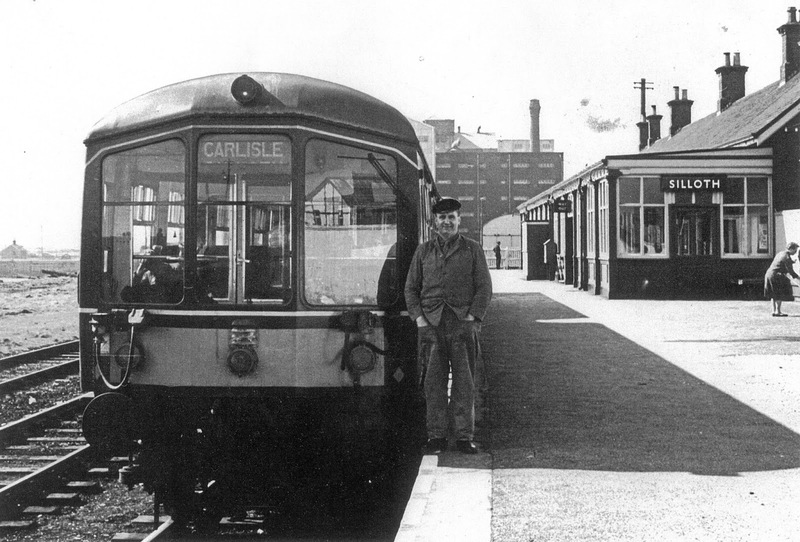 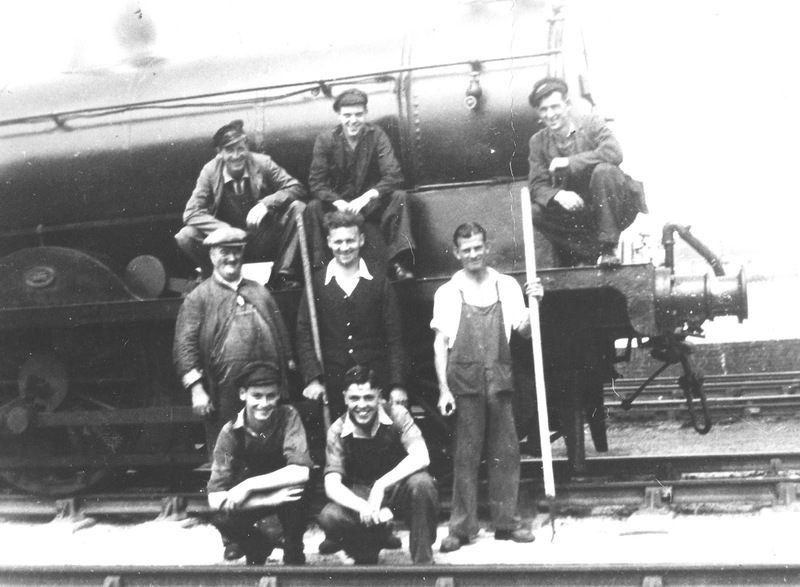 Jimmy Lister (left) from Carlisle was the driver, Archie Brand (right) was the guard and Mike Bulman the fireman. 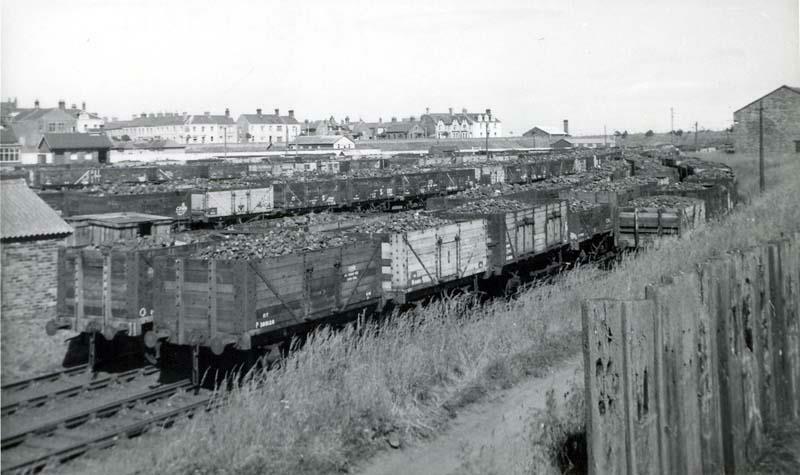 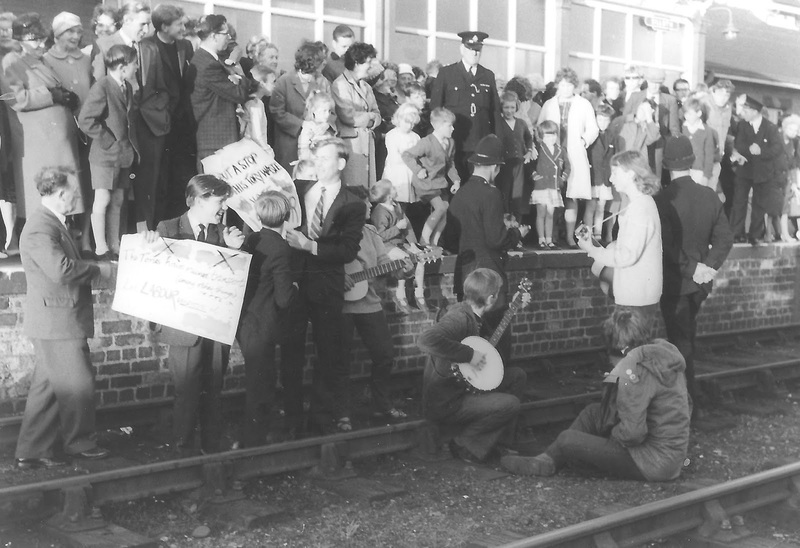 The platform at Silloth was crowded with people waiting to say 'good-bye'. 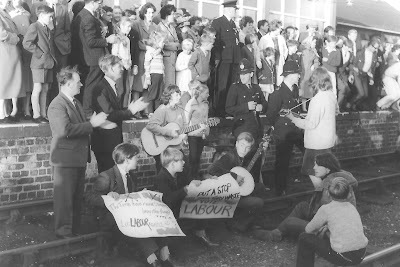 The train had to halt outside the station as the line was blocked by a group of protesters organised by Kate Roberts, the prospective Labour candidate for the constituency. 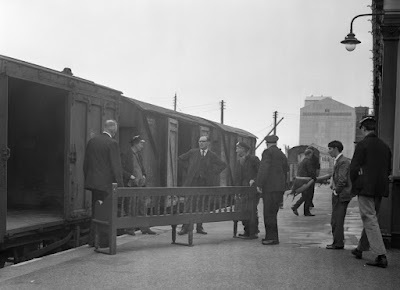 Finally, the police cleared the line and the train pulled in. Dusk was falling as the train left for Carlisle arriving there at 9.30pm. Next day, the station was emptied of its furniture and work began on lifting the tracks. Pictures of the last train courtesy of Judith Warmsley.